Despite the fact that man was made to live on land, we are fascinated with the depths of seas and oceans and – at least some of us – have a wild desire to explore the enchanting underwater world. Aquatic experiences are some of the most exciting things one can try while on vacation, with diving being the most breathtaking of them all. The gear today has been developed so much that almost anyone can try diving almost anywhere. One can even swim with sharks should he or she have such a wild desire. There are countless places around the world where you can go diving, from easy diver-friendly spots to challenging and adrenaline pumping experiences, but also serene locations with so unique views that nobody ever wants to leave. Located off the west coast of Thailand in the Andaman Sea, north-west of Phuket Region, the Similan Islands are an archipelago of nine islands, onto which The Similan Islands National Park has been established. 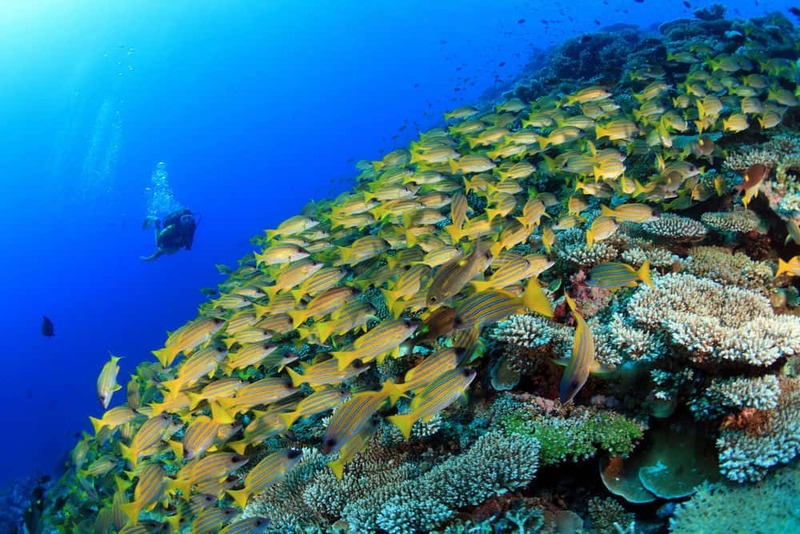 Famous for their amazing dive sites with granite boulders, sandy patches and coral reefs, the islands offer a wide variety of marine life and places to explore. Sometimes whale sharks can be spotted in the region as well. But before you visit the islands, be sure to inform yourself if they’re open, since the administration closes them off for all tourists during the monsoon season, which lasts from May to October, and sometimes even during the whole year when unique species of sea turtles make their nests on the beaches. 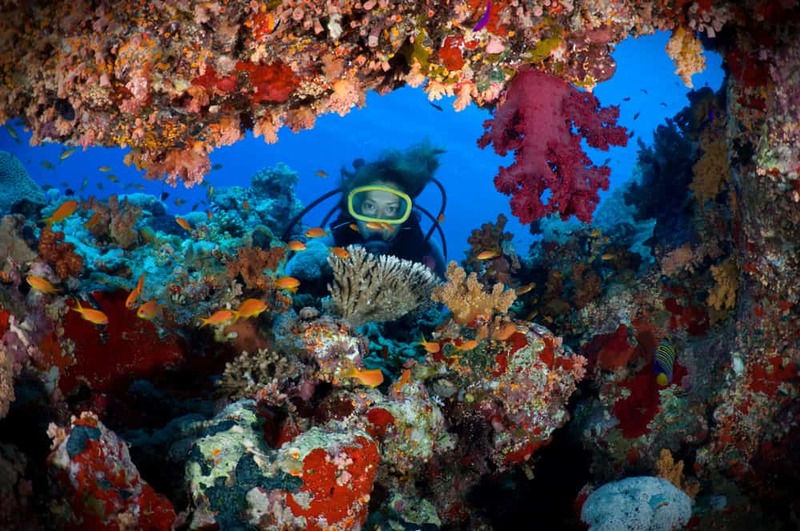 While the Maldives are known all around the world for their crystal clear waters, stunning beauty and wonderful resorts for relaxing vacations, they also offer great experiences when it comes to diving in the area. The combination of rich marine life and fascinating coral reefs offers unforgettable experiences for those who venture into the underwater world. The Maldives are an archipelago situated to the south of India in the Indian Ocean and opened their gates to tourists only in the 1970’s. 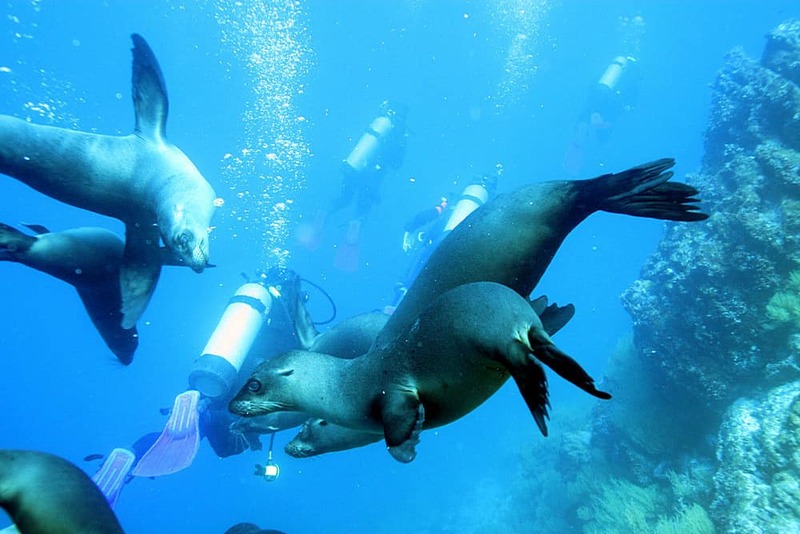 Today tourism became one of their major sources of income and for good reason, because the incredible sights and the variety of underwater life are simply amazing. 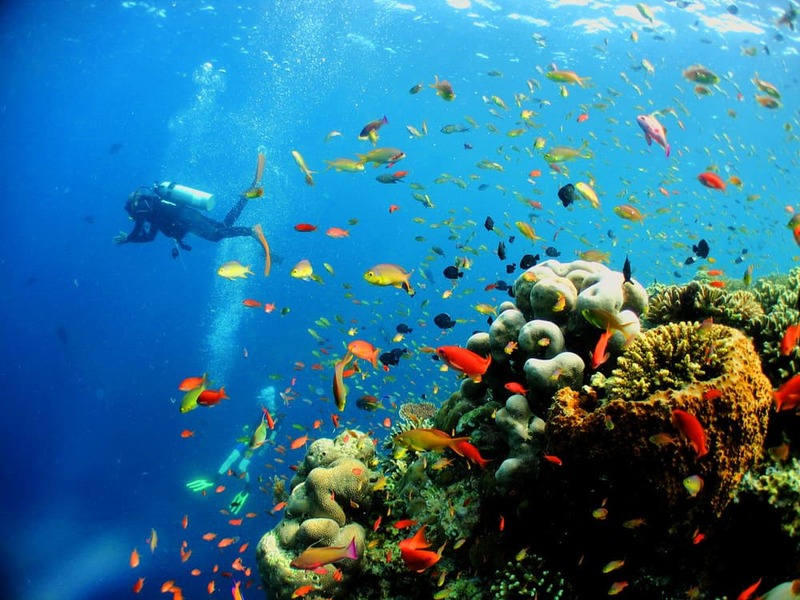 Located at the northern tip of the Sulawesi Island of Indonesia, Bunaken Island is part of the Bunaken National Marine Park and it’s frequented by tourists who are looking for some great scuba diving. The main reason for that is the island’s surrounding waters which have a max depth of 1,566 meters in the Manado Bay area, with a wide diversity of fish, corals, echinoderms and sponges. The area is as well home to seven out of the eight giant clam species in the whole world. Off the coast of Belize, near the center of the Lighthouse Reef there’s a large submarine sinkhole named the Great Blue Hole, formed by the collapse of the limestone cave system beneath. Ranked by Discovery Channel as number one on a list of the 10 most amazing places on Earth, The Great Blue Hole is a very popular destination for divers and scuba divers who want to explore its crystal clear waters in search for species like the Midnight Parrotfish or the Carribean reef shark. The Cocos Island, off the shore of Costa Rica, is a jungle covered island designated as a National Park, with the Costa Rican Park Rangers being its only inhabitants. 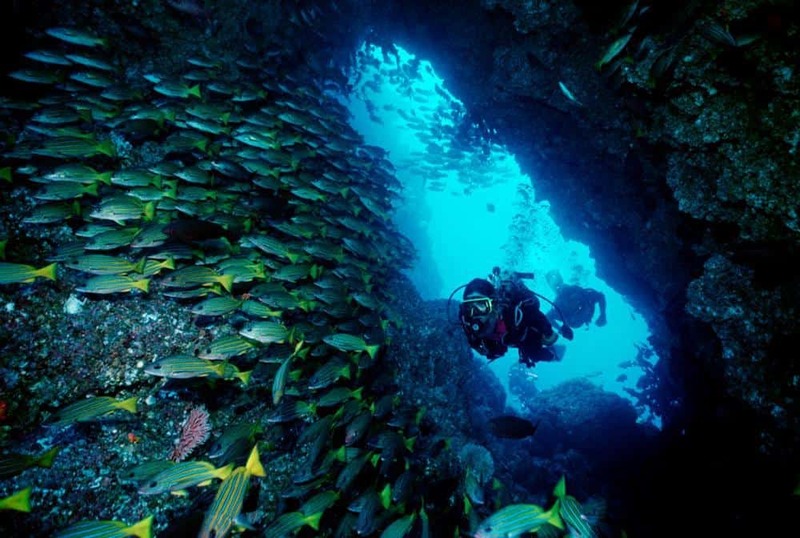 The deep waters around it make it a diver’s heaven. The climate of the region is very wet and its ecological character makes The Cocos Island different than the Galapagos Archipelago a little farther away, with hammerhead sharks, rays, dolphins and many other large marine species being found in the waters around the island. Located in the Celebes Sea, the Sipadan Island it’s the only oceanic island of Malaysia, formed by living corals growing on top of a former volcanic cone, right in the center of the Indo-Pacific basin – one of the richest marine habitats in the world. 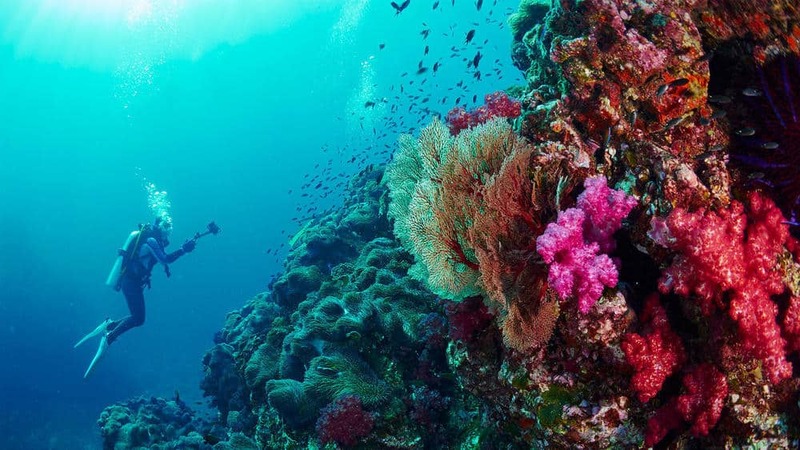 With over 3000 species of fish and several hundred species of corals, the ecosystem of the waters around the Sipadan Island is a true paradise for those adventurous enough to dive there. Because of the island’s rich marine habitat, diving is allowed to a maximum of 120 individuals per day, so make sure you obtain a pass if you want to admire barracuda schools, hawksbill turtles or the turtle tomb. The Republic of Palau is an island country located in the western Pacific Ocean spread over 250 islands, south of the famous coral atoll Kayangel. 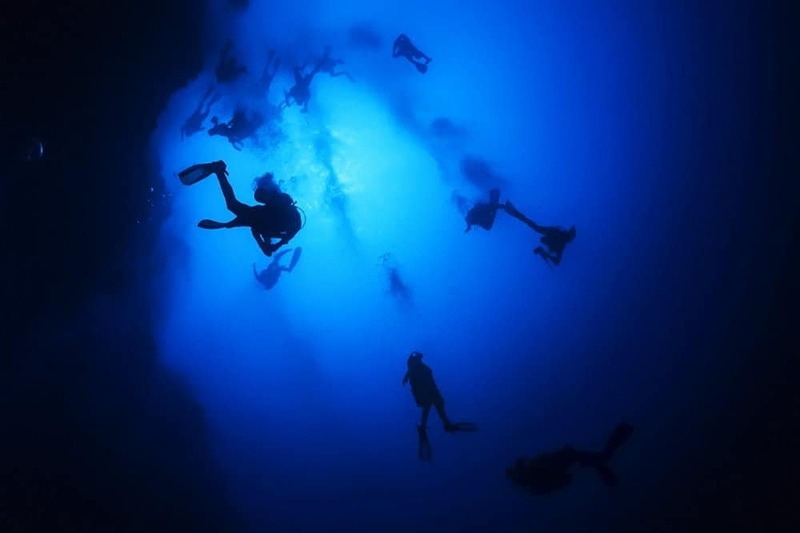 Unlike most other diving spots that are rich in all kinds of amazing marine creatures, Palau Dive Spots are famous among divers around the world for the search of World War II shipwrecks, as the Pacific Ocean was the scene of most of the sea battles that happened during the years of the war. The Darwin Island – named in honor of Charles Darwin – and Wolf Island are the smallest islands in the Galapagos Archipelago, special due to their separation from it and for the fact that they don’t have any dry landing sites, thus making them a divers-only heaven, without any inhabitants. Though they’re at a distance, they still benefit from Galapagos being the second largest marine reserve in the world. From June to November, divers can swim along whale sharks, hammerhead sharks, silky and blacktip sharks and other marine creatures such as green turtles, manta rays and dolphins, to name just a few. 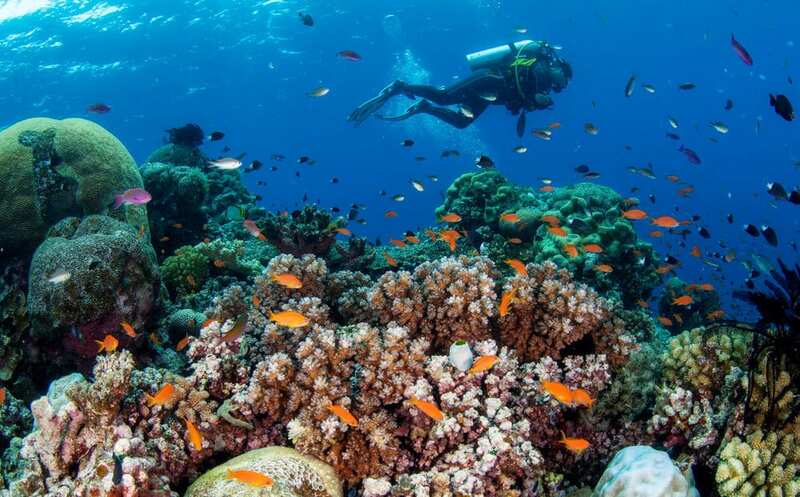 With its very clear water and some of the most exotic sea creatures in the world and large coral reefs and formations, the Red Sea is one of the most popular places to visit in Egypt. 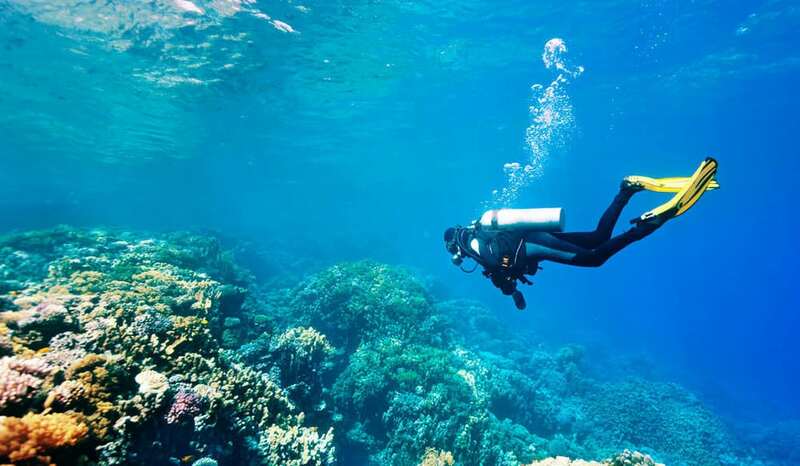 The expeditions of Hans Hass and Jacques Cousteau opened the way for other marine enthusiasts, who followed suit, and in a short time scuba diving and snorkeling became the most attractive ways to visit the Red Sea and its reef. The Great Barrier Reef is the largest coral reef system in the world comprised of more than 2,900 individual reefs and 900 islands spread over a distance of 2,300 kilometers off the coast of Queensland, Australia. So large that it can be seen from outer space, named by CNN one of the seven natural wonders of the world and home to the iconic ‘Great Eight’ and around 1,500 species of fish, the Great Barrier Reef is the world’s most cherished diving spot, with an estimated two million people visiting each year. I’ve just really gotten into diving recently and all these places look amazing! Adding each one to my bucket list. Ive never had an aquatic experience but for sure need to after reading this! Ive been in the ocean several times but would love to go scuba diving in Thailand, looks incredible. All of these places are so gorgeous, if I could get over my fear of the ocean I would definitely consider diving! I’ve always wanted to try out diving! These all look like really great spots to go. My top choice would probably be the Red Sea Reef in Egypt! 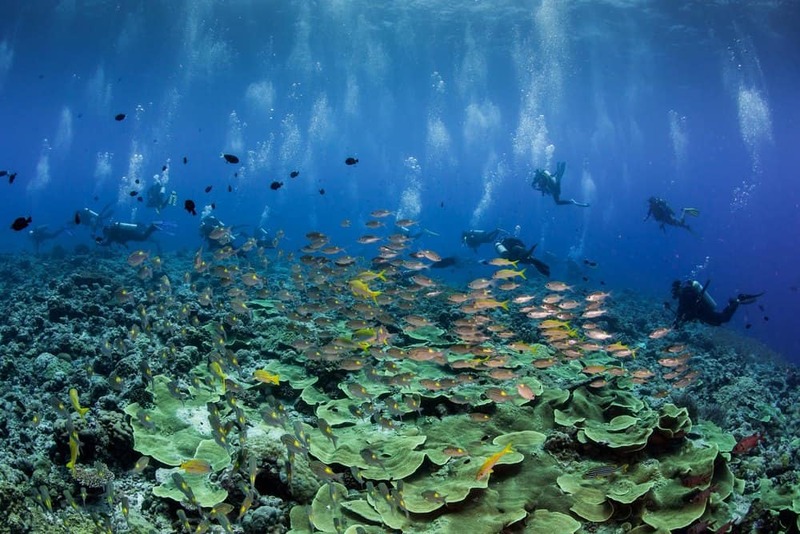 These locations look breath taking and I would love to experience scuba diving at the Great Barrier Reef! 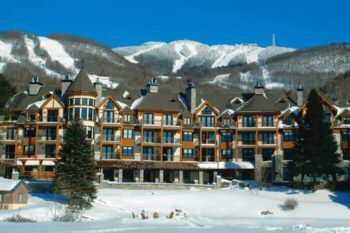 These locations make me miss summer, but they’re perfect for my next spring break adventure!